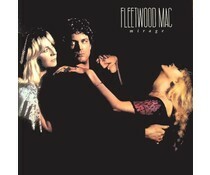 Fleetwood Mac is a British-American band. She started as a blues band and was originally called Peter Green's Fleetwood Mac. The band was founded in 1967 by Peter Green. Originally the band alongside Green (vocals, guitar and harmonica) from Mick Fleetwood (drums), Jeremy Spencer (guitar) and Bob Brunning (bass). Peter Green had with John McVie and Mick Fleetwood played in John Mayall's Bluesbreakers. After the establishment of Fleetwood Mac McVie remained some time playing with John Mayall, but at a later stage he replaced Bob Brunning. After the departure of Peter Green was the name Fleetwood Mac. 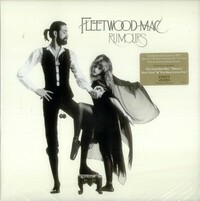 Mick Fleetwood and John McVie are also from the constant remained in the group. The group evolved over the years into a pop group with ever changing line-ups. The arrival in 1975 of the duo Stevie Nicks and Lindsey Buckingham, the group gave a major boost. Best known for hits from the American period, as Do not Stop, Go your own way, Dreams, Everywhere and Little Lies. Live at the Boston Tea Party, vols 1-3 (1970).